Contact us to schedule a consultation regarding family law, estate planning or an accidental bodily injury or fatality. Our clients are often dealing with high-stress situations involving marital break-ups, parent-child relationships, accidental or natural death in the family or hospitalization of accident victims. The outcome may impact your financial security and your parent-child relationships for a lifetime. 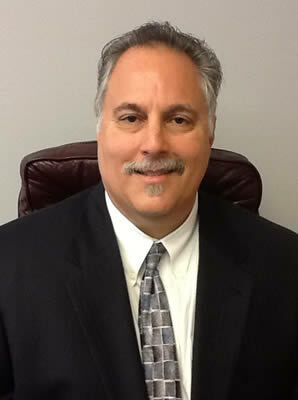 For more than 30 years Steven Byers Attorney at Law has helped families through these difficult times. Contact us to schedule a consultation and learn how to deal with your specific concerns. Whether in negotiations before a divorce, representation during family law mediation or in relation to enforcement or modification after it is finalized, our Texas lawyer is well qualified to inform, guide, counsel and assist. Writing wills, taking estates through probate and helping injured Texans recover compensation are all things that we do with care and precision for our clients. Often, married people wish to complete divorce settlement negotiations in a peaceful, amicable manner. When this approach is realistically attainable, we are prepared to represent clients cost-effectively and efficiently in mediation. We understand that parents are concerned about their children's well-being during and after a marital split. Our experience enables us to counsel parents through child support and child custody matters with a focus on the best interests of the child. We know that people who have suffered injury or lost loved ones in traffic accidents need prompt, fair compensation — and we work hard to help bring this outcome about in a timely manner. Individuals, couples and families need help understanding and implementing the best ways to preserve and pass on assets at the end of life. We take the time necessary to understand clients' goals before drafting and finalizing wills, and when representing families in probate. Lawyer Steven Byers is a certified mediator, especially well qualified to guide family law clients through the mediation process. Whatever your legal concern, contact his law firm to schedule a consultation. Mr Buyers and his assistant are very kind and genuine people who were more than willing to go the extra mile and meet my needs. Mr. Buyers is understanding and very professional yet personal and I appreciate him very much!! I believe Mr. Byers did a good job handling my divorce case. This was my first go with a lawyer, but he seemed to know what he was talking about. My phone calls and emails were promptly returned in a timely fashion. Overall, I was happy with my outcome. I have hired Mr Byers on several occasions to represent me in divorce cases as well as creating my last will and testament. His legal expertise, knowledge and client side manner really helped me in my times of need. He is a considerate person who works for you, gets the job done and doesn't charge an arm or a leg in legal fees during the process. I highly recommend him based on my experiences and success. Gave us great advise - Represented us in Probate - Finished all legal paperwork to finalize the Will.